This is the car you should describe as “the wolf wearing sheep’s clothing”. 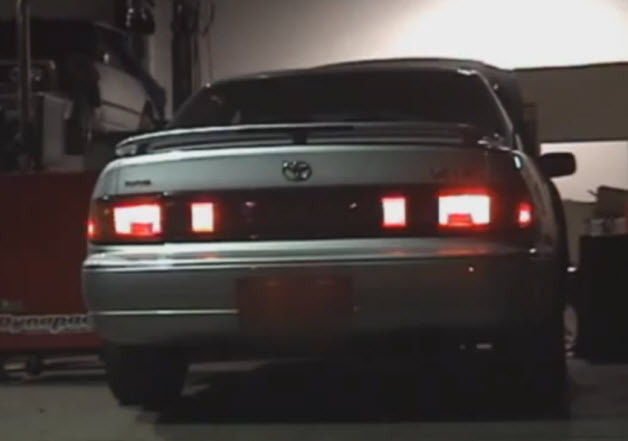 An old boring looking Toyota Camry… you expect nothing from this car. But Canadian tuner Dynamotorsports decided to fit a 3.0-liter V6 engine with custom intake and exhaust manifolds, a big ol’ HKS turbo and a whole lot of boost. The end result: a Camry that puts down 728 horsepower! Brilliant!